Sharon Day was tapped by President Donald Trump to become ambassador to Costa Rica in June 2017. 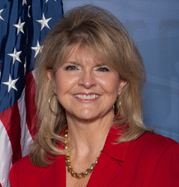 She was elected Co-Chairman of the Republican National Committee on Jan. 14, 2011, and was re-elected on Jan. 25, 2013. From 2009-2011, she served as RNC Secretary. She has served the Republican Party at the local, state and national level for more than 20 years. She lives in Fort Lauderdale.